"What becomes of the Soul after Death?" is an eternal quest of man since time immemorial. Soul is immortal. Life on earth is a halting place on the way to the achievement of the goal of Life, God realisation. Death is not the end of life but is a process of changing the instrument of experience. Birth is inevitably followed by death and death by rebirth. Life is a long chain, of which, recurring births, planery lives and deaths are the links. Science about departed Souls and their planes of living is a subject of absorbing interest. 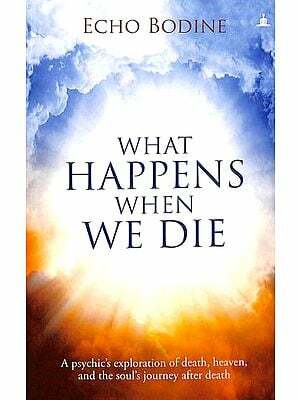 The other side of the death is scientifically examined and carefully described in this book of Swami Sivanandaji Maharaj. 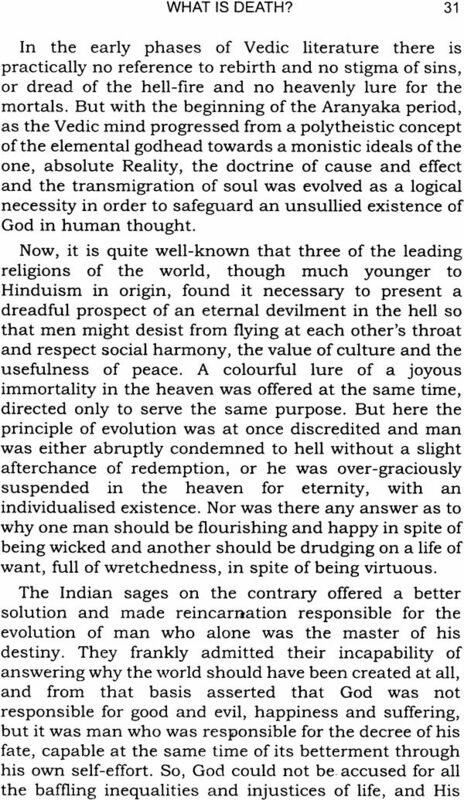 It also gives an insight the different beliefs of various races and religions. 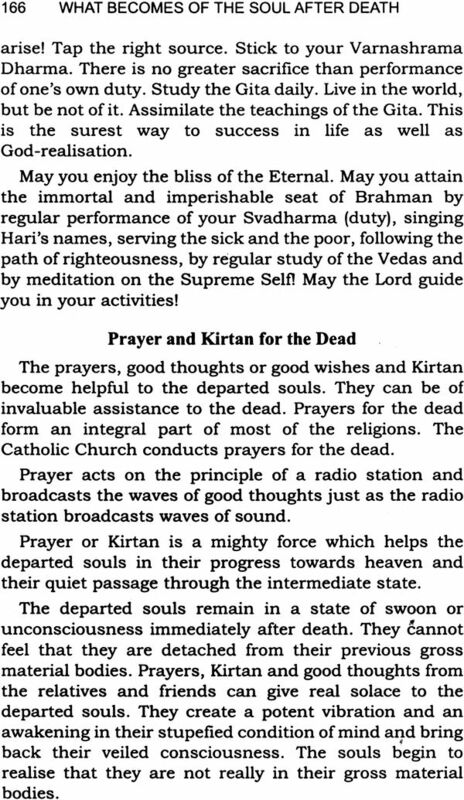 The significance of different practices and customs in connection with the dead along with the beneficial effects of such oblations is explained in detail in the following chapters. 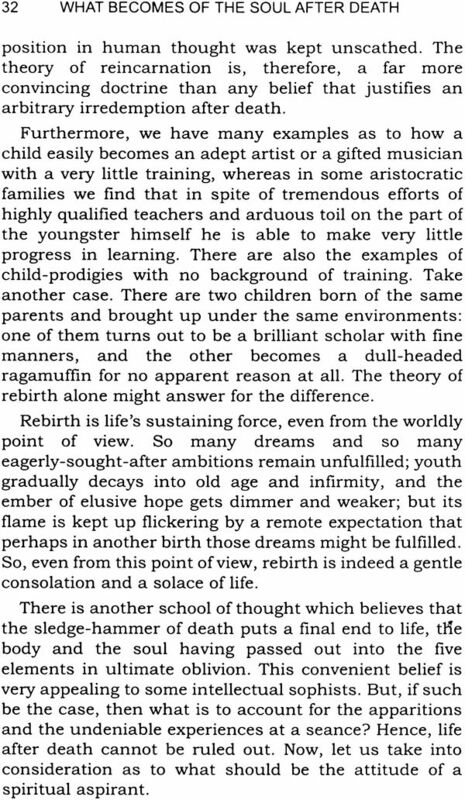 Presentation of some of the rebirth cases along with a question and answer section makes an interesting reading. A careful study of the book will remove the veil of ignorance and the knowledge will make on free from horrors of death. My Gurudev's blessings be upon all! Born on the 8th September, 1887, in the illustrious family of Saga Appayya Diskhita and several other renowned saints and savants, Sri Swami Sivananda had a natural flair for a life devoted to the study and practice of Vedanta. A-dded to this was an inborn eagerness to serve all and an innate feeling of unity with all mankind. It was divine dispensation and the blessing of God upon mankind that the doctor of body and mind renounced his career and took to a life of renunciation to qualify himself for ministering to the soul of man. He settled down at Rishikesh in 1924, practiced intense austerities and shone as a great Yogi, Saint, Sage and Jivanmukta. 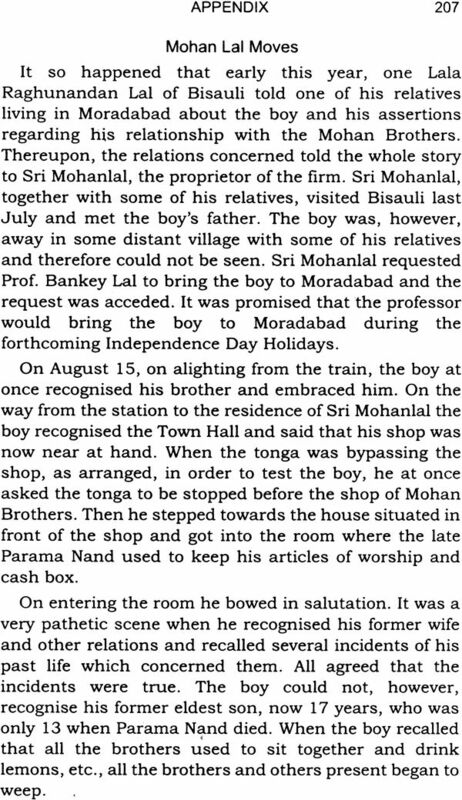 In 1932 he started the Sivanandashram. In 1936 was born The Divine Life Society. In 1948 the Yoga-Vedanta Forest Academy was organized. Dissemination of spiritual knowledge and training of people in Yoga and Vedanta were their aim and object. In 1950 he undertook a lightning tour of India and Ceylon. 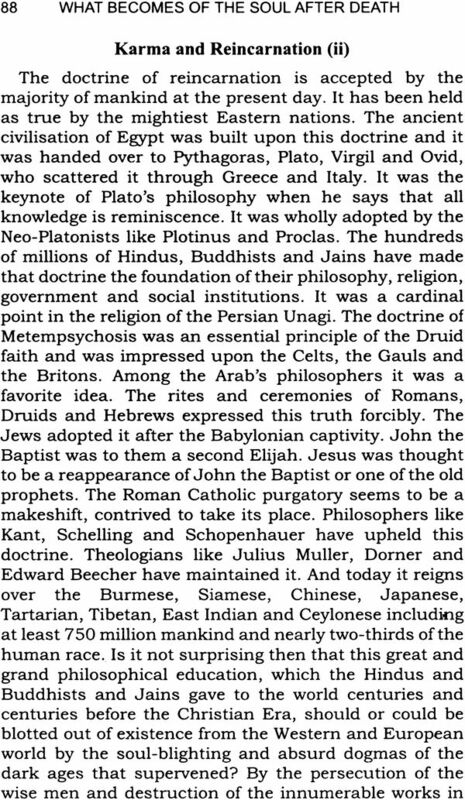 In 1953 he convened a 'World Parliament Reliogions'. He is the author of over 300 volumes and has disciples all over the world, belonging to all nationalities, religions and creeds. To read his works is to drink at the fountain of Wisdom Supreme. 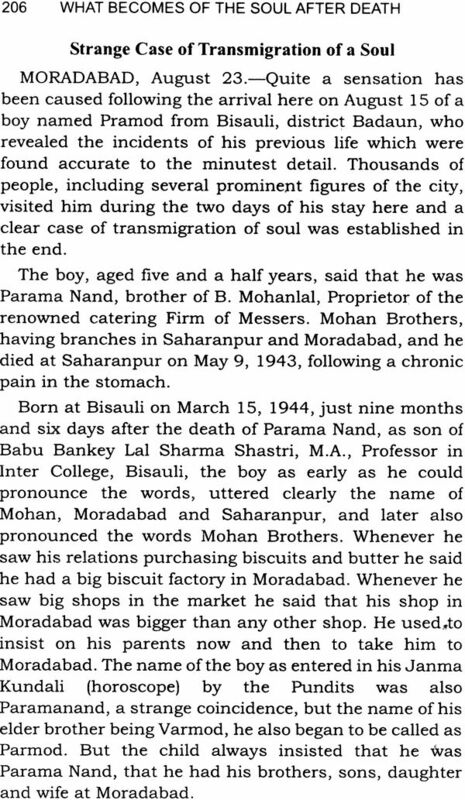 On 14th July, 1963 he entered Mahasamadhi. Paraloka- Vidya or the science about the departed souls and their planes of living is a subject of absorbing interest. It is a Mysterious Science which contains many secrets or hidden wonders. It has intimate connection with Panchagni-Vidya or the science of transmigration propounded in the Chhandogya Upanishad. 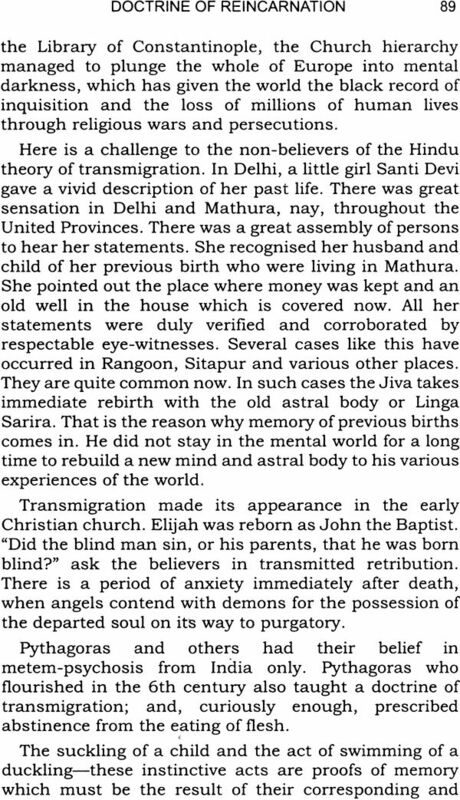 The doctrine of reincarnation or metempsychosis, transmigration of the soul and spiritualism come under the Paraloka-Vidya. Everybody is curious and anxious to know this science. Great scientists, the inventors of many marvellous things, mighty Emperors who have done stupendous works, inspired poets, wonderful artists, many Brahmins, Rishis, Yogins have come and gone. You are all extremely anxious to know what has become to them. Do they still exist? What is there at the other side of death? Have they become non-existent or have they dwindled into an airy nothing? Such questions do arise spontaneously in the hearts of all. 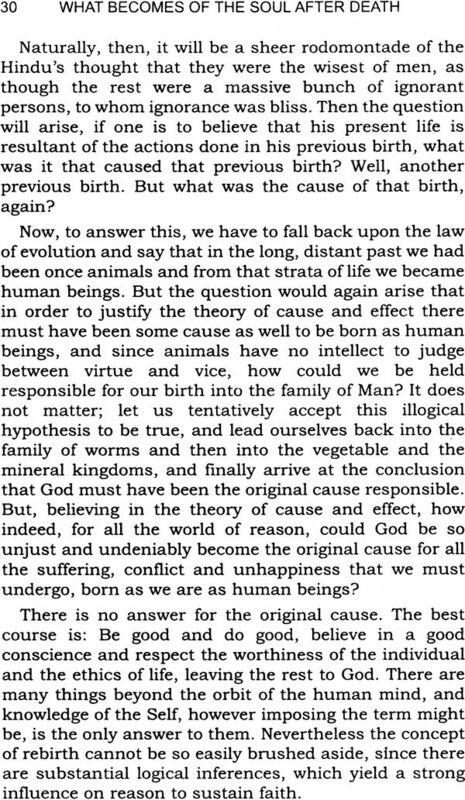 The same question arises today as it arose thousands of years ago. No one can stop it, because it is inseparably connected with our nature. Death is a subject which is of the deepest interest to everyone. One day or other all must die. The terror of death overshadows the lives of all human beings. It brings considerably unnecessary sorrow, suffering and anxiety to the survivors who are anxious to know about the fate of the departed souls. In the West also this question has aroused a great deal of interest and attention in certain scientific circles. Much investigation has been made. But the researches have, however, been confined more or less to find out whether or not the individuality survives and persists after the dissolution of the physical body. This has been proved in the affirmative by actual communication with the spirit world through science, mediumship etc. A knowledge of this science will rob death of all its terror and sorrow and enable you to see it in the proper light and to understand its place in the scheme of your evolution. 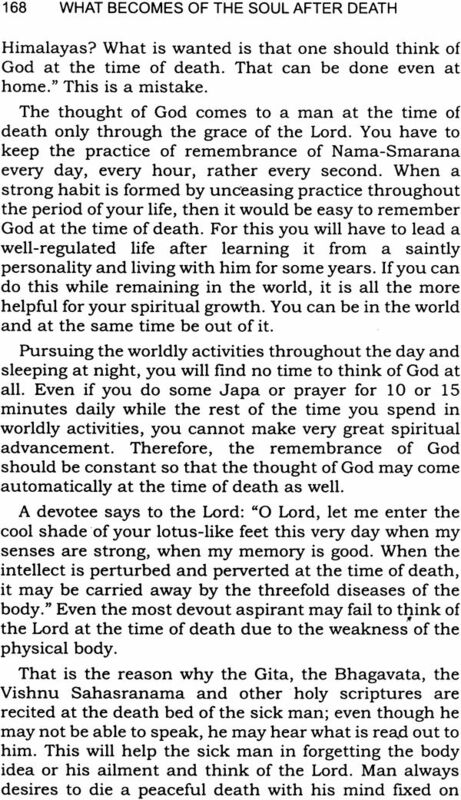 It will certainly goad you to find out suitable methods to conquer death and attain immortality. 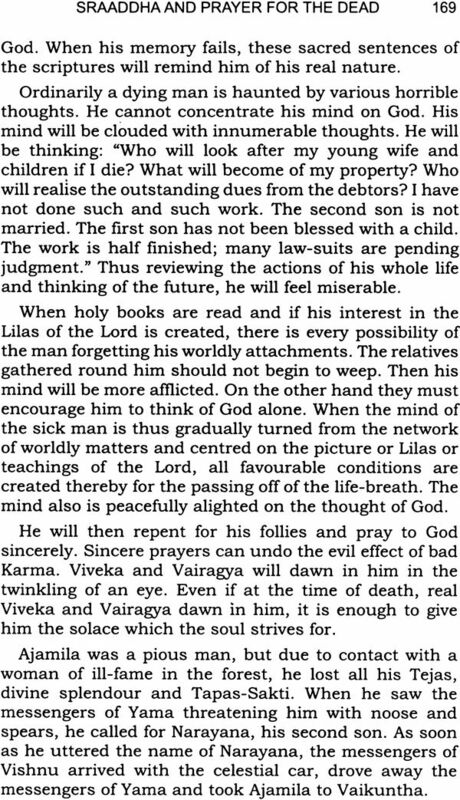 It will forcibly urge you to take to the study of Brahma-Vidya in right earnest and find out the true Master or illumined sage who .can put you in the right path of Truth and explain to you the mysteries of Kaivalya or Brahma- Jnana. 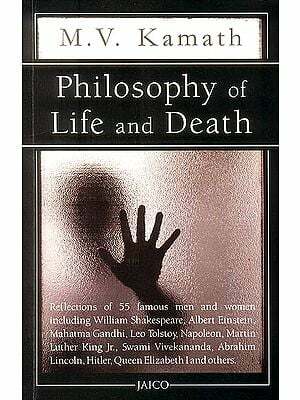 The other side of death is accurately described in this book. It has been scientifically examined and carefully described. This book contains abundant information on this subject. It will give you a wealth of facts on this topic. It contains the essence of the Upanishadic teachings. You have suffered very much simply out of ignorance and superstition concerning this most important matter. If you go through this book carefully the veil of ignorance will be removed. You will be freed from the horrors of death. The one aim of all Yoga Sadhanas is to face death fearlessly and joyfully. 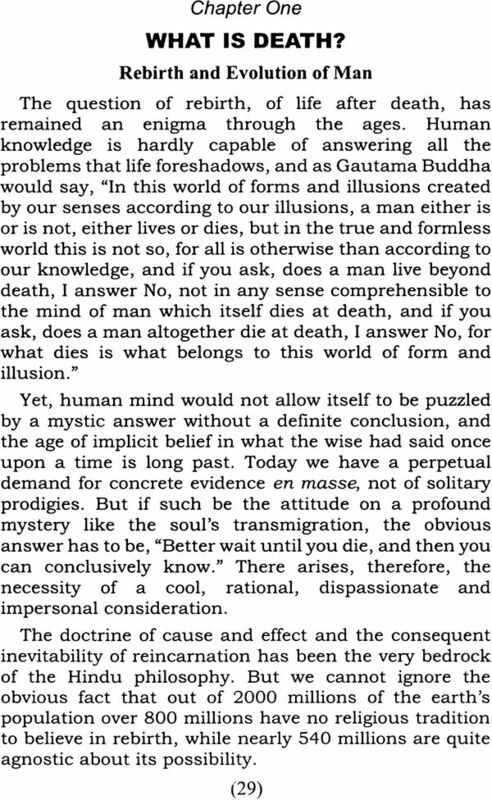 A Yogi or a Sage or even a real aspirant has no fear of death. 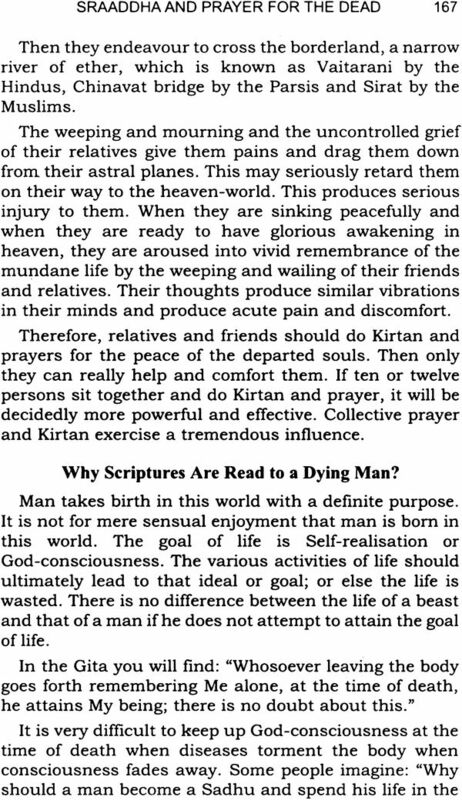 Death is terribly afraid of those who do Japa, meditation and Kirtan. He and his messengers dare not approach them. Lord Krishna says in the Bhagavad-Gita, "Having come to Me, these Mahatmas come not again to birth, the place of pain and non-eternity; they have gone to the highest bliss" (Chapter VIII-15). Death is painful to a worldly man. A desireless man never weeps when he dies. 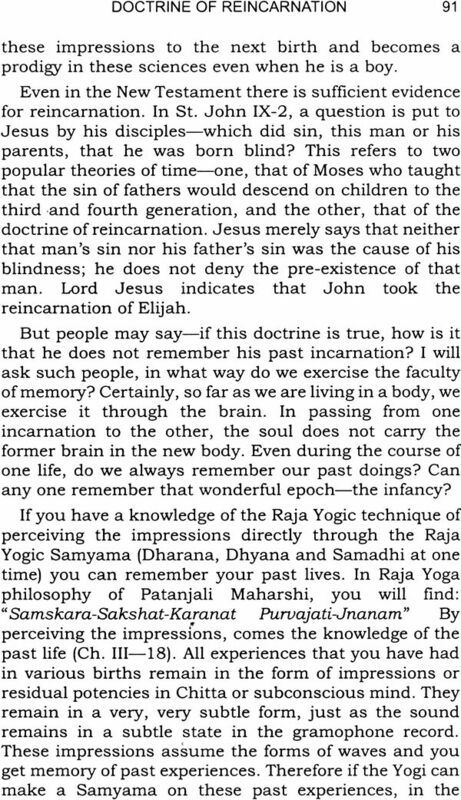 A full-blown Jnani never dies, His Prana never departs. Your highest duty is to prepare for a peaceful life hereafter. Conquer the fear of death. Conquest of fear of death, conquest of death is the highest utility of all Spiritual Sadhana. Pray to the Lord to enable you to worship Him in every birth of yours. End the cycle of birth if you want everlasting bliss. Live in the eternal Atman and be happy for ever. Bhishma had death at his command (Iccha-Mrityu). Savitri brought back Satyavan, her husband, to life through her power of chastity. Markandeya conquered death through worship of Lord Siva. You also can conquer death through devotion, knowledge and power of Brahmacharya.